Ellen Braun has been a songwriter since she sang from the tops of trees on Broadway, the street she grew up on in Ottawa. 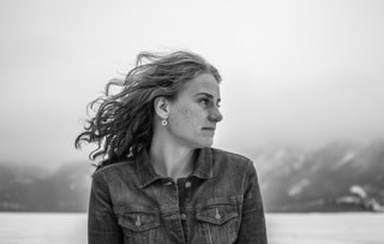 These days, she is best known as one half of the Canmore folk duo, Trundled. Ellen wears her musical heart on her musical sleeve. Seized in the embrace of a Rockies, her lyrical canvas has stretched to allow Ellen to fervently capture the hearts of audiences as they follow her artistic odyssey. She recently returned from a Nashville songwriting adventure to discover that her song, “Inchoate” was selected from over 2000 songs to make the top 100 in the CBC Searchlight contest. Trundled music is now being picked up on radio stations from coast to coast. Bradley Bischoff is a veteran of the acoustic music scene in Canmore. 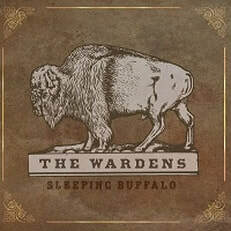 Bradley's band The Wardens have been touring all over western Canada for the last several years and are hugely popular in the Bow Valley.